Shoes are your best companions; they never leave you alone in any journey! Purchasing a perfect pair of shoes for oneself is indeed a difficult job, as it needs to fulfill the requirement of offering a perfect fit and should be versatile to look good with desired outfit. 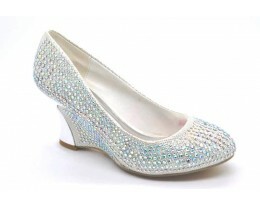 We offer a comprehensive collection of shoes, which is versatile enough for almost all types of dresses suited for birthday parties, formal lunches, wedding, and many more. Bored of your shoe closet? Upgrade your shoe collection with the latest ladies footwear collection by Wilford. With no compromise on style as well as comfort line, Wilford helps you make all the heads turn in just no time. 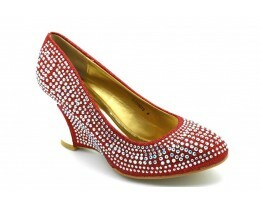 Browse through our extensive range of shoe collection and pick up what is best for you. 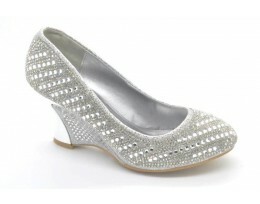 Our latest shoe collection is sure to become an ideal purchase for adding a morsel of glitz to your paparazzi look.